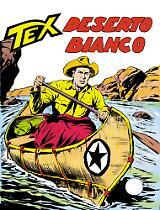 Introduction: The charming Frontier atmosphere and two unpublished-before, complete stories in the second Tex Magazine! A former Corporal in the Buffalo Soldiers, Lawrence now owns a ranch where African-Americans, Apaches, Mestizos and reformed criminals are allowed to work as free men. 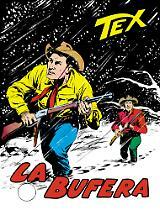 But a dreadful character, Blisset, who is dominating the area just can’t stand the sole existence of “Freedom ranch”. 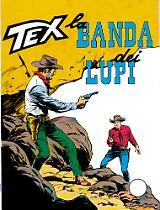 In the hard clash of the two camps, Tex Willer & Kit Carson’s hot lead will weigh on the scales of Justice! While he’s traveling on the “Woodland Flyer”, the train that runs through the Colorado forests, Kit Willer is arrested and condemned to hard labour, along with a “honest” gambler. 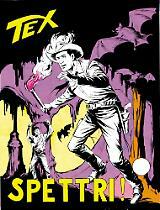 Will Tex’s son be able to fend for himself, among a dangerous nature and the bullying by his tormentors?